My son is on the track and field team at his high school. When his team has meets all the team members like to all look the same so they can stand out. They already have matching uniforms but they go a step further from all the other high school teams and wear matching sweatbands in their school colors.The local stores only carry a few colors of sweatbands and sometimes they can not find the color they need. I am glad there is an online store that carries many colors of sweatbands. The place I will go to to purchase my son's sweatbands is http://www.suddora.com/. This online store store sells sweatbands in almost any color you like, they even have neon colors and themed ones. I really like zippered sweatband wristbands as these are great to carry money or a key when you go out running. The Movember Mustache wrist sweatbands are cool too. You can even support autism while you exercise. 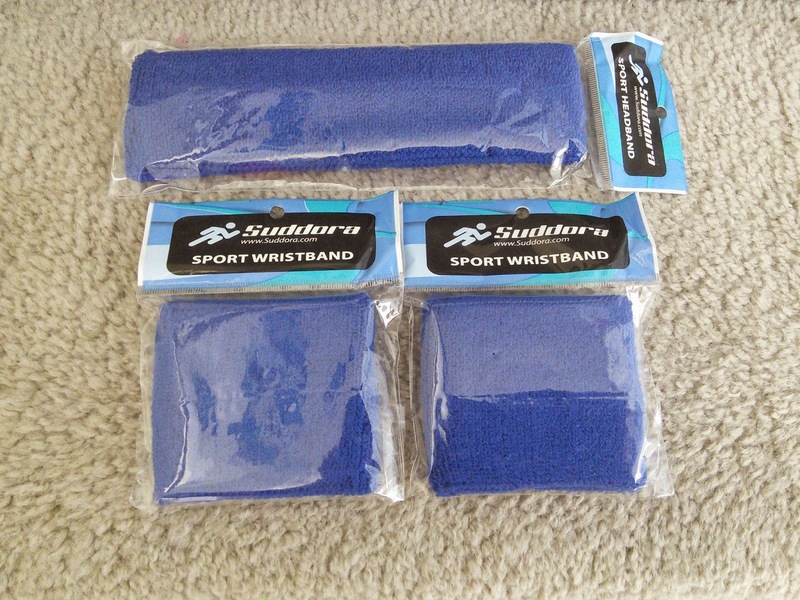 My son chose a navy blue sweatband set from http://www.suddora.com/ as his team colors are red and blue. The set comes with 1 Headband ( 7 x 2") and 2 Wristbands (3 x 3 1/2") and are perfect for most sports like running, basketball, soccer, and more. These sweatbands are comfy and durable and made with 80% cotton, 12% spandex and 8% nylon. They do a great job of soaking up the sweat and look great to. These sweatbands come in many colors to match almost any team uniform. My son will be telling his teammates about their great prices. If they order as a team they can save even more money with bulk buying. Suddora carries many other items too like shoe laces, sports bras, mouth guards and sports tape. I love that the shoe laces come in many colors also so my son can find a pair to match his track uniform. To see all that Suddora carries and to buy these great sweatbands, click on the below links. I love the ones with a zipper - that would be so great to use with the bags when I take my dog for a walk!! I've never seen this many colors of these products. Love it!! Looks like a great sweat set. I like the ribbon ones. They have a great amount of options. Finding your team colors is so important! That's my son's team colors too! I love that they come in school colors. Our are maroon & gold. I suppose the yellow is kind of a goldenrod and would be pretty close. Suddora does offer a lot of color and style choices. I'm noticing more and more kids wearing sweatbands and headbands here, so these would make great gifts! Stopping by from MOON FB! I like how they offer so many styles and colors! Thanks for sharing! These are cool. I will have to see if my older son wants some of these for track. These are great. I have to have a pink one! Such fun colors for schools or to match their clothing. I've never seen so many colors in sweat bands. It might help me do more exerise, or at least look great. Those are great and perfect for work outs! I love that you can match your colors and the ones with the little mustache are adorable!